Our mission is to share the Three Angels' Messages to the Deaf. Our focus is three-fold. We are focused on sharing Jesus with Deaf people and teaching them what the Bible says. We also strive to nurture Deaf members and to train them to be true disciples of Christ, equipping them to do their part in spreading the Everlasting Gospel. Plus, we are educating those who hear about Deaf ministry and culture so that they can better reach out to Deaf souls. Seed planting: We give away materials at a number of Deaf expos. Thousands of seeds are sown each year in this way. Deaf Bible School: Hundreds of Deaf people are enrolled in one of two different Bible study correspondence courses via the Internet or through the mail. The Deaf Messenger: This quarterly evangelistic magazine is sent free to Deaf people in North America. DVDs: Several DVDs have been and are being produced in American Sign Language. Some are single DVDs while others are an entire series. Books and other materials: Several easy reading books have been printed, such as Steps to Christ and Story of Redemption. Baptismal Studies for Deaf People covers the 28 fundamental teachings of the Seventh-day Adventist Church. Plus tracts and Bible study guides have been adapted into easy reading English. Sermons on DVD subscription program: Sermons in ASL by pastors for the Deaf are being mailed regularly to Deaf members who request them. Deaf Reach: This is a lay-training program, instructing Deaf people how to share Jesus and how to study the Bible with other individuals. This program includes some materials. Speaking engagements: 3ADM workers are available as speakers at workshops, camp meetings, revivals, retreats, Deaf Sabbaths and Big Days. Deaf awareness: We have been working to help hearing people understand deafness and what is truly Deaf ministry. Three Angels Deaf Ministries, formerly known as Adventist Deaf Ministries, was founded in 1998 by a group of Deaf Adventist ministry leaders who desire to see ALL Deaf men, women, and children come to know and love Jesus Christ. In 1997, after many years of providing services to Deaf members, Christian Record Services (CRS) made the difficult decision to close their Deaf Services department. 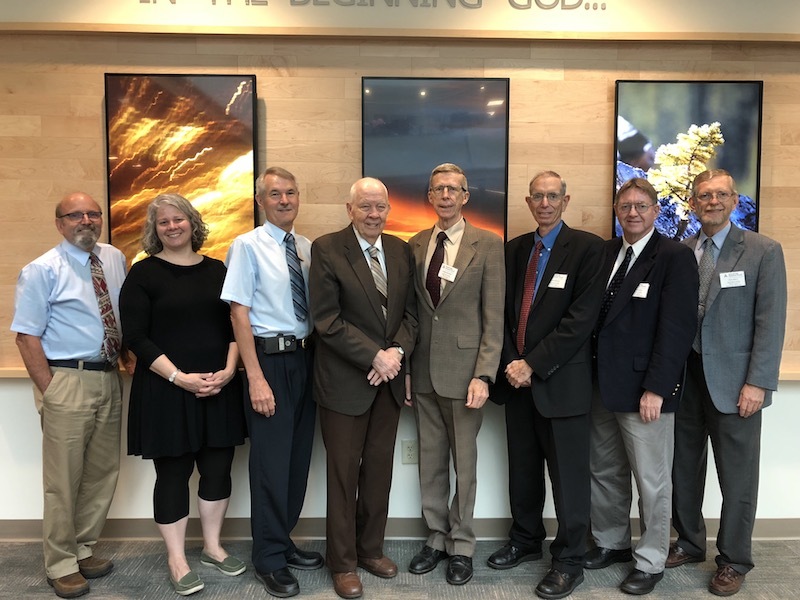 Soon afterwards, the North American Division of Seventh-day Adventists (NAD), invited Deaf and hearing members to an exploratory meeting to discuss ways to continue Deaf ministry. 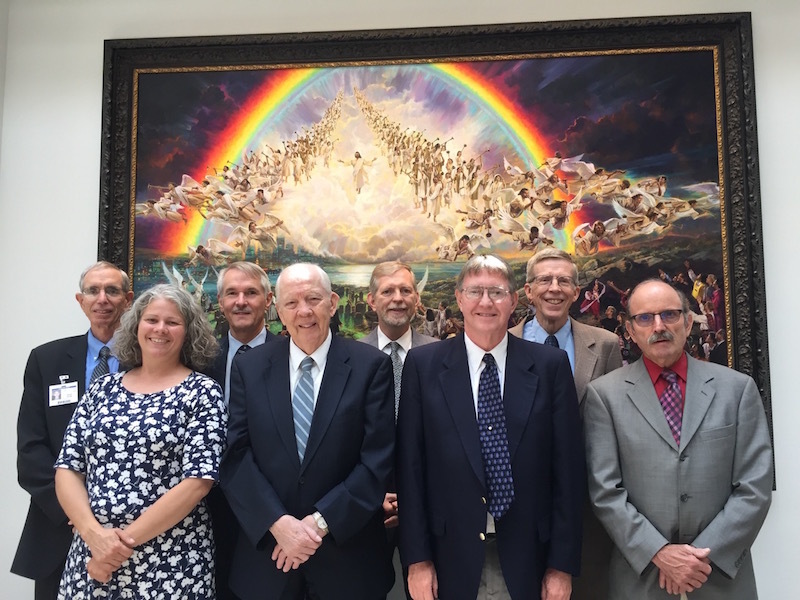 In 1998, in response to a proposal to continue the ministry under the formal church organization, NAD and Union Presidents decided that they no longer wished to do so. After this, a group of Deaf ministry leaders started this Deaf ministry. This is a donor-supported, independent, non-profit organization that works cooperatively with the Seventh-day Adventist Church in leading the Deaf to Christ resulting in baptism into the Church and in nurturing Deaf Adventist members. Three Angels Deaf Ministries (3ADM) was officially recognized as a tax-exempt organization by the state of Nebraska in April, 1998. Three Angels Deaf Ministries exists to lead and prepare the Deaf for the kingdom of God through various ministries in their own culture and language. 3ADM is the voice of the Deaf in the church. 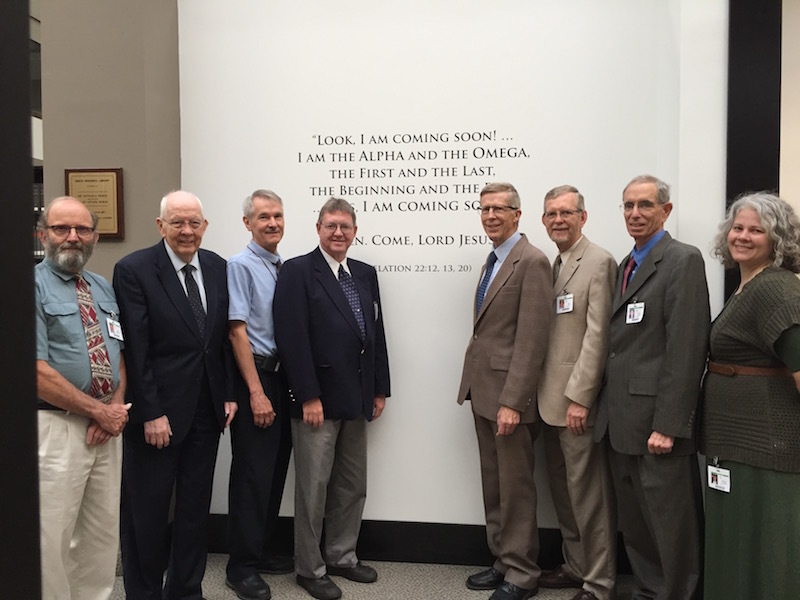 Church leaders seek counsel from 3ADM on how to effectively meet the needs of the Deaf. 3ADM assists the General Conference in preparing the quarterly Easy Reading Edition of the Adult Sabbath School Bible Study Guide. 3ADM's Speaker/Director currently sits on the NAD's Deaf Ministry Committee and we work in close association with the North American Division on various projects. The General Conference and the North American Division are partnering with 3ADM in seeking ways to improve Deaf ministry - nurturing, training, and evangelizing. "[Three Angels] Deaf Ministries is our frontline provider and premier resource center for the purpose of reaching Deaf people with the gospel. We depend on the services of [Three Angels] Deaf Ministries and consider them a partner in ministry." 3ADM is a tax-exempt, donor-supported, 501(c)(3) organization. The majority of our donations are from Deaf individuals, attesting to how they value 3ADM's work in spreading the Gospel to this under-served population. Donations to support this ministry are greatly appreciated and are tax-deductible in the USA.